When you're on the hunt for a new 55-inch TV, you might be looking for something aesthetically pleasing, something that catches your eye. In fact, what you should be looking for is a TV that has excellent technical qualities and has a perfect image and sound quality. There are so many TV companies that produce models that aren't as good as they should be, and they produce them for a high price too. Very limited budget? Try one of these budget TVs under 300 dollars. What to Look for in a 55 Inch TV Under 600 bucks? 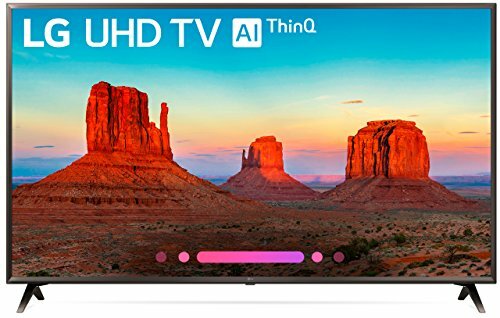 Can I get a good 55 Inch TV for under 600 Dollars? 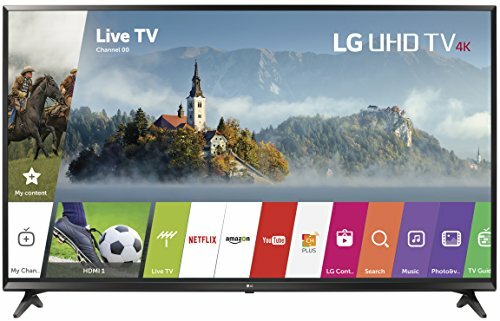 Where can I buy a 55 Inch TV Under $600? We aim to make your researching easier; we want you to know how to separate the good from the bad and the evil from the ugly. Budget TV's (and those below 600 dollars) won't be for everyone, but it is often surprising how much of a good quality TV you can get for your money when you truly know what to look out for. As well as listing the top 6 best 55-inch TV under 600 dollars, we have also included a buyer's guide that allows you to know everything there is. From what you need to look out for when buying a TV, to where to buy one. 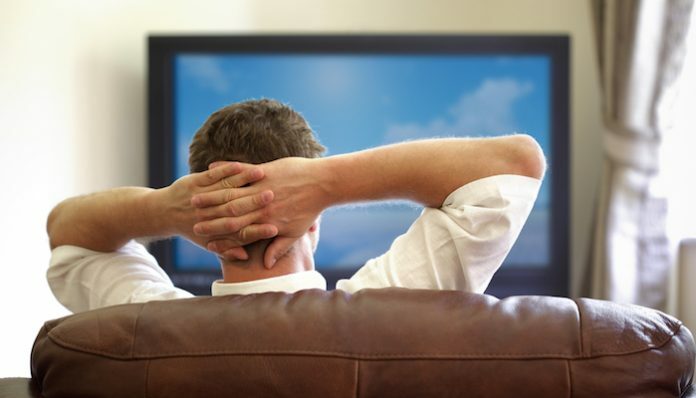 After reading this guide, you're sure to be an expert on the TV and technology industry! Got more of a budget? Grab a 55-inch TV for under $1000 here. Although this model doesn't have the most extravagant design you'll ever see, it's the perfect choice for anyone who wants something that is good value for money, under 600 dollars and looks great too. This 55-inch 4K TV has a high native contrast ratio meaning the colors pop more than they do on most other models, and it also means when you're watching the TV during the darker scenes, you'll still be able to distinguish all of the objects and people moving about on screen. The input lag is also low which means games are extremely responsive and gamers can have a lot of fun with it. 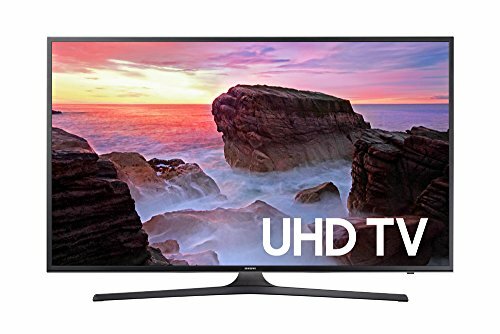 This model is noticeably better than average and other TV's of this price range, so it's a great choice if you're on the lookout for a Samsung TV under 600 dollars. The screen isn't curved but it has a sleek, chrome-finish design that is beautiful in any modern home, and it has a center stand that is upheld well even around younger children who may push or hit the TV with some force. From an angle, this TV is thinner than other models which means it's perfect for mounting on a wall. One of the only major flaws is that it has limited HDR capabilities, but this could be outweighed by the idea that it has a higher than average native contrast. While HDR isn't the ultimate, best feature for a TV to have, it is an added extra. Why We Liked It - This budget TV certainly doesn't look the price you pay, it has a sleek design and is perfect for any family home who don't want to spend a lot of their hard-earned cash on a TV. For those who aren't technology nerds and simply want a good quality TV, this should be your top pick. 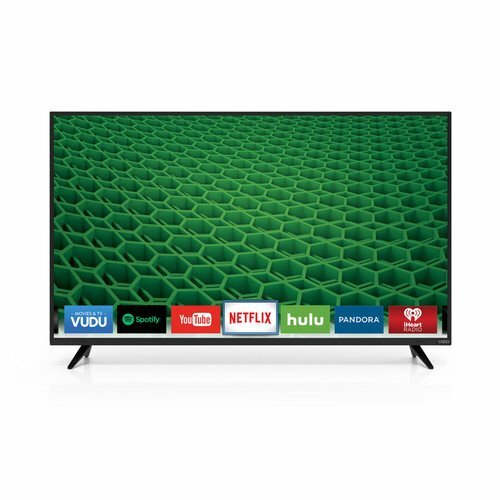 Want a TV below $500? Consider sizing down slightly to a 50-inch TV under 500 bucks. A model with a little bit of unique design is the LG UK6300 model, it's different to the Samsung model as it doesn't have a center stand, instead, it has two V-shaped spider legs at either end of the TV unit. 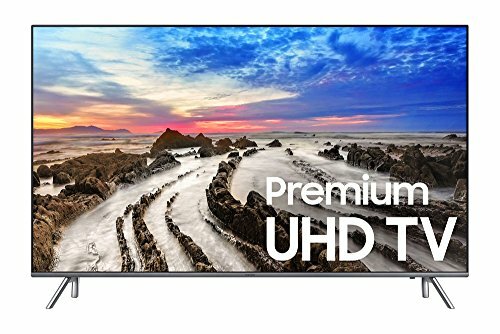 This TV Under $500 has 4K resolution and a great HDR feature, considering the budget price of this model it looks really nice. It has a matte black design and finishes which means it will match any interior in your house, even if its rainbows themed. The visuals are stunning due to the technology used to build this model, and this has been said throughout previous customer reviews. It also has an IPS display which means you can view it from any angle and the picture does not degrade. For all those looking for a TV for their larger living space, this is the choice for you. It only has one flaw which is that the input lag isn't low as some other models on our list. This isn't such a big deal if you're not planning on playing games on this TV, if you're only going to play games, rarely this is fine too. Input lag is mainly an issue for those who want to connect a console to their TV. Why We Liked It - The spider legs at the end of the TV unit are a nice touch that we love, it gives the TV a lot of balance and ability to be stable. This is especially helpful if you have young children around as TV's can be a hazard. If you're looking for an impressive TV model with great smart features and a pretty neat design this LG model is the one for you. It has some of the best features available for a TV of this price, a very low input lag, and low motion blur too. Likewise, to the model above, this UJ6300 model isn't curved, but it does have two spider legs at both ends of the unit. The legs and borders of the TV unit are matte blacks which means it will suit any modern room in your home and you don't have to worry about redecorating. While the design is nice, it's also simple, but considering how good the value of a TV you can get for your money, a simple design is understandable. Since this model is number 3 on our list, it has a few issues, and although they are minor, they're something to think about before purchasing. The blacks aren't very uniform meaning the darker scenes may be harder to distinguish. And the TV screen isn't very bright in general. Despite these, it's still a good model to buy. Why We Liked It - While it may not have lot's of extra fancy features, the basic and simple design of this model shows that it's good value for money. There is plenty of extras that some models wouldn't have which is always a good thing. This 4K LED TV has great blacks and a high native contrast, it doesn't have a wide color gamut, but it's pretty standard considering the price you pay. The TV also supports features such as HDR and a smart platform too. The design and finish of this MU8000 model are really nice, it has two spider legs at either end of the unit, but the borders and legs are painted with a chrome finish that looks super nice. It wouldn't suit everyone's living space, but it's worth a try. Every household would look better with a model like this in their home. It only has some minor flaws too. The image quality degrades at an angle which means if you sit in certain places around the TV, you won't be able to see it as well as you should. The build quality is also mediocre with the back being finished with plastic. Why We Liked It - Thinner TV units means they're easier to mount on a wall if you really want too, this is essential for anyone who wants to save space in their living area. The Vizio D2 sets the bar high regarding TV models, it has low motion blur, so those who like action movies will be able to watch them without any issues. While the sound quality could be improved, it's not the worst quality and considering the price, you're getting a great TV. The picture quality is also up there as one of the best, it has 1080p LED resolution. One of the best qualities about this model is that it has a simple design, the spider legs at either end of the unit keep it stable and sturdy around younger children who may knock or push the unit. Similar to the other models on this list, it has minimal flaws the quality degrades when viewing the TV from an angle and when you connect DVD's and cable, the motion blur increases, but this increase isn't too noticeable. Why We Liked It - Budget TV's aren't always the best options, but this is a great 55 inch budget TV that everyone is sure to love. See more TVs under $500 here. Despite the low price of this model, it still has a very good picture quality and has extra features you might not expect. It's without a doubt that the model won't be as high quality since you're not paying over 600 dollars for it, but the high native contrast is a great element, and the sound quality is also a huge plus. Unlike most modern TV's it also has an impressive local dimming feature that you can make use of. One of the only flaws that are major if you want to use them is that the smart platform is a little dated and significantly worse than others on this list. Why We Liked It - It's one of the cheapest TV's around, and it's well worth saving a few hundred dollars by purchasing it. Such a cheap model! You'd never guess how much it is if it was in your living area. Typically, people assume that buying a budget TV comes with having to put up with a wrong quality model. However, the opposite is true. Certain aspects and characteristics of a TV will show how good or bad it is, there may sometimes be complications with quality in the long term. But, you don't have to think about the 'ifs' and 'buts' of the future. You need to think about the qualities it has now and those that it lacks too. Just because you're paying around 600 dollars for a TV, doesn't mean to say you shouldn't get something you've always wanted. Below we have listed some aspects of an excellent 55-inch TV under 600 bucks, just so you know when you're shopping, what to look out for. Not every TV model will have all aspects or characteristics, but you're looking for something that has 2 or 3, perhaps it might only have 1. Whatever you choose, just ensure that it has good previous customer reviews too, people who have experience with the TV are the ones who know it the best and can honestly give an opinion on it. HDR feature HDR means high dynamic range, while some TV's have it, there is a lot that doesn't tend to use it as a feature. People don't typically look for this feature as they either don't know what it means, or they don't think it matters it does! HDR allows the colors to shine through on your TV and give a better experience to everyone. Not all budget models will have it, but it's something great to look out for. Curved screen design this isn't a necessity, and sometimes people don't like it as a feature of their TV. But, curve screens are such a popular design, and they make the viewing experience so much more helpful. However, there is the issue of mounting curved designs onto walls as they're often a lot thicker in design. There are hundreds of models to choose from, it's just finding them that's often difficult. Low input lag this is more for all the gamers out there who want to find the ultimate gaming TV for their console! Having a low input lag on the TV means you're able to play the game more accessible and without worry that the TV will lag or stumble over points of the game. Gamers love to find TV's for a low price but also have a great input lag because they're often hard to find. The low input lag allows the TV time to give feedback and thus meaning you can win the game as many times as you want. Yes definitely, as we stated earlier, you just have to know what to look out for. It might not be easier finding the perfect deal for a 55-inch TV under 600 dollars, but it's possible and sometimes a lot of fun. Take your whole family TV shopping when you go, they can all vote on which one they like the most and that way, your decision is made a lot easier. When you have so much choice, it can be hard to decide what's best but having people to support you when you're shopping is always a positive element to the shopping experience. While you can buy 55 inch TV under 600 dollars in different stores around the US and the world, the best deals are always online. You've got more time to weigh up your options, and there aren't any pushy sales assistants asking you what model you want or what type of TV you're looking for. Do your research online and essentially make your decision based on what you find there. 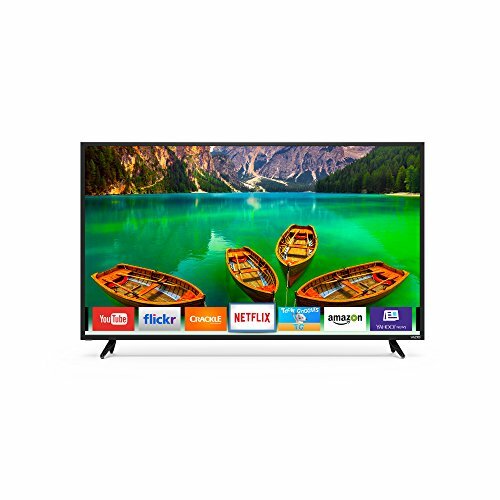 Amazon is a great place to purchase TV's, especially around Black Friday deals as they often have a high percentage of money off. When you're on the hunt for a 55 inch TV under 600 dollars, we would suggest to look out for the different features it's always worth weighing up your options before diving in and just purchasing something because it looks great. LG was first founded in 1958 with the name 'GoldStar' it was made to push the country (Korea) into domestically made electronics that they would love. They have since become one of the biggest electronic companies in the world.